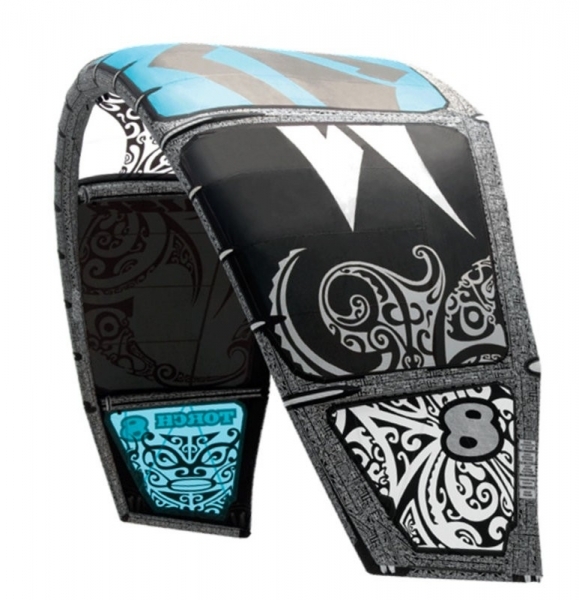 State-of-the-art C-kite for competition freestyle, power freeriding and unhooked waveriding. The Torch flies quickly through the air and will depower easily with a quick check of the board edge. Power is delivered smoothly, with depower similar to a bridled kite by virtue of the kite’s ability to fly fast. Whether you are hooked in or unhooked, riding is effortless and precise. The position of the kite’s struts makes it stiffer in the air, for even more precise handling. The Torch is equally at home winning heats on the world stage as it is ripping up your home beach. 5-line system with seamless functionality. The Shift System is renowned for having complete control over the leading edge arc for hooked-in and unhooked C-kite riding. 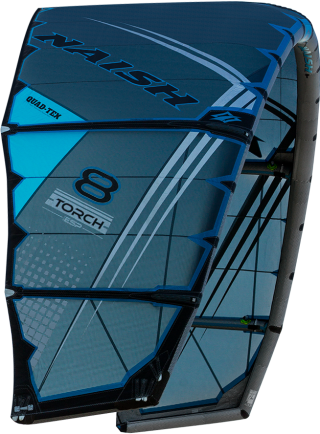 The 5-line design offers immediate relaunch capabilities for use in competition and extreme light winds. The trim line is a single PU- coated line that is ultradurable and minimizes excess bulk in the middle of the bar. 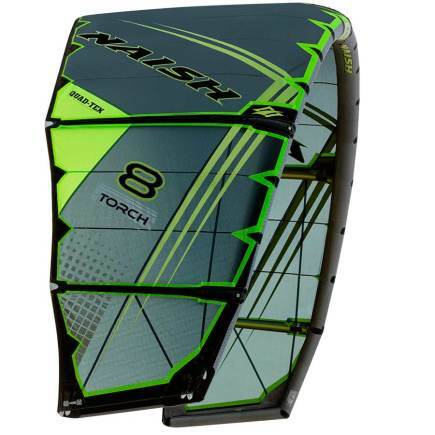 GOOD POINTS: This kite is amazing, easy to use, stable in the sky, big air. 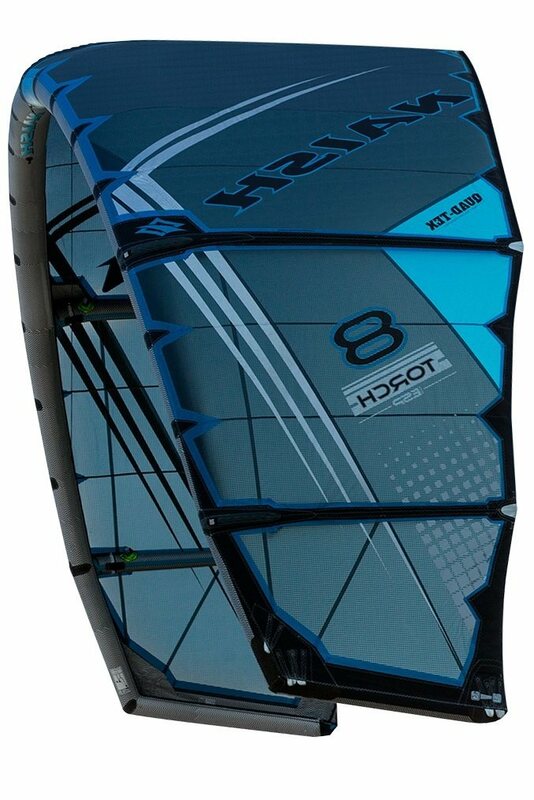 C kites are amazing, the direct feel of the power makes you feel conftable and confident that you will always have power to keep you riding. 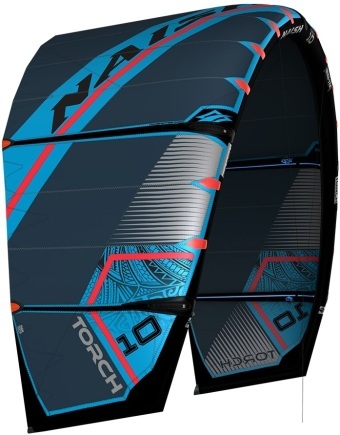 C kites have not changed that much over the years, so when buying kites look for the barging. 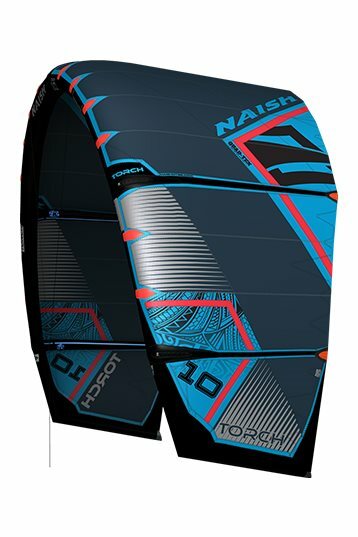 The Naish Torch 2013 is what we all aspected it to be. A good looking, high quality product once again. The kite's flying speed and turning speed are improved. It delivers smooth power throughout. The Torch is very precise and reacts directly to your imput. Don't underestimate this small feller, this kite is an explosive monster which will boost you all over the place when looping. Even unhooked in big winds the kite is still controllable. When you are not able to unhook anymore, just enjoy the amazing jumping and looping ability of this kite. 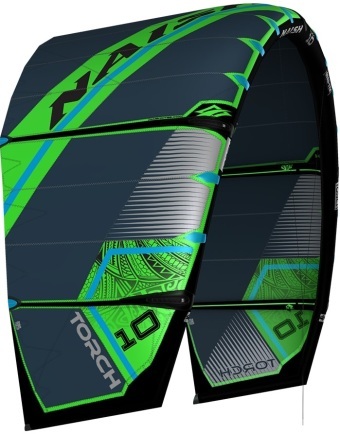 This kite will provide everything experienced and pro-riders demand. 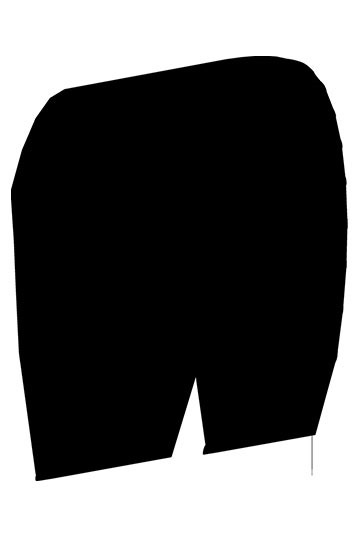 Yet another improved version of the well-known Torch family. The kite is suitable for all experienced riders with all riding styles, the kite is very good for freestyle, big jumps, freeryding and wakestyle.